Greetings and salutations Dear Reader! Today we have a few Salutation Exhibit cards from the 60's. I can't remember exactly where I picked these up but I think it was the 2013 National in Chicago. The cards in this set could be purchased from vending machines and are known for their irregular size and salutation and autograph on each card. 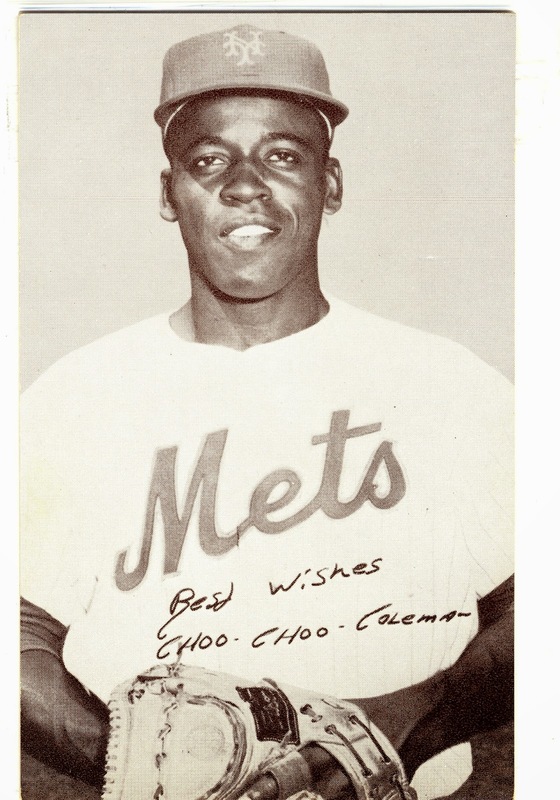 Choo Choo offers us "Best Wishes" on one of my favorite Coleman cards. 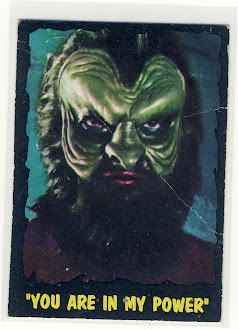 Some of these cards had stats on the back sometimes in red and sometimes in black. 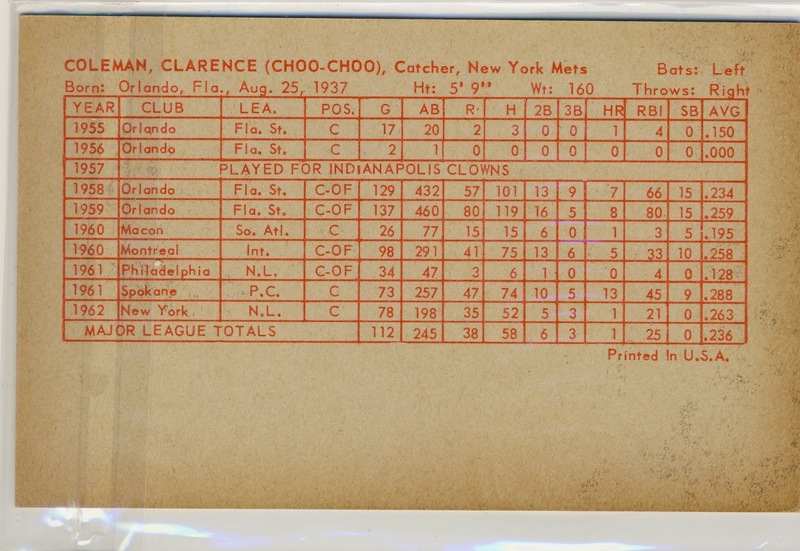 These are some very very detailed stats and I particularly love that Choo-Choo played with the Indianapolis Clowns, who were a baseball version of the Harlem Globetrotters, during the 1957 season. 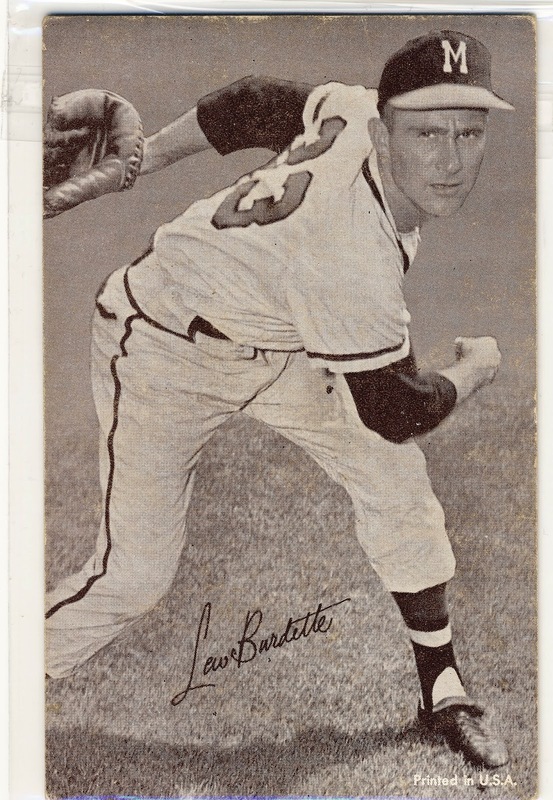 Other than Warren Spahn, Lew Burdette is my favorite Milwaukee Braves-era pitcher. He famously won a game against Harvey Haddix in which Haddix pitched 12 perfect innings. 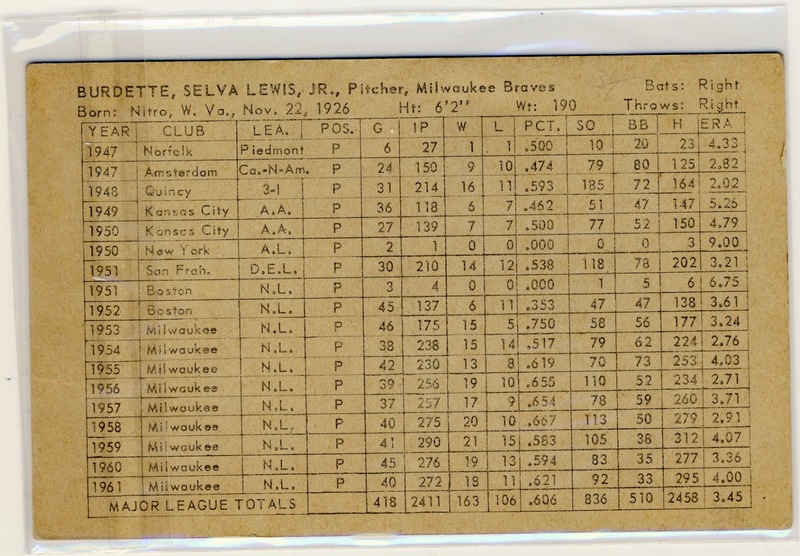 On the reverse side you find black-colored statistics and you learn that "Lew" Burdette's first name was really Selva. 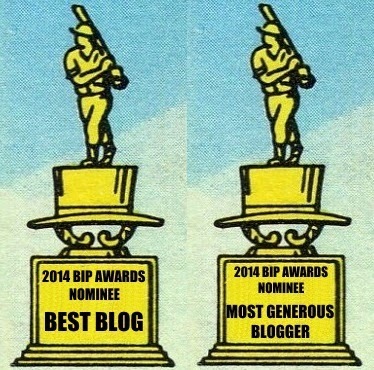 These last two are personal favorites of mine, Ken Hubbs and Earl Battey. 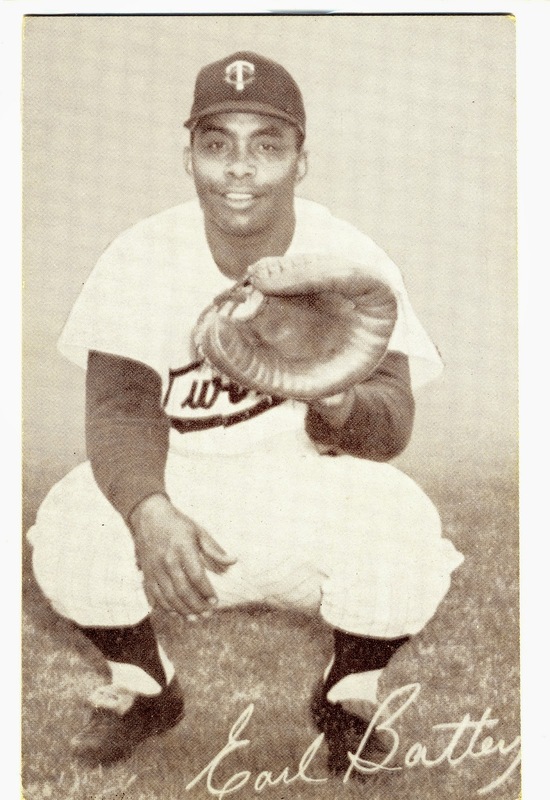 Battey played catcher for the Twins from 1961 to 1967 and was a 5-time All-Star over his career. 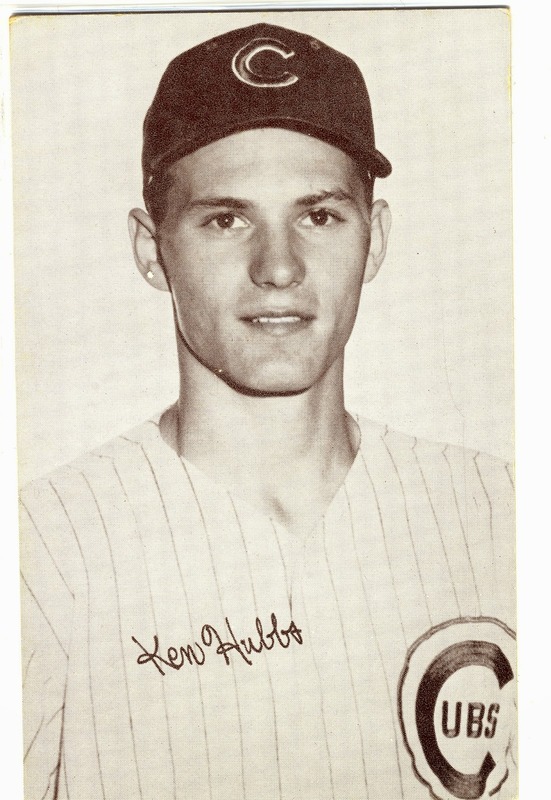 Hubbs was a former Rookie of the Year second baseman for the Cubs who died in a plane crash in 1964. 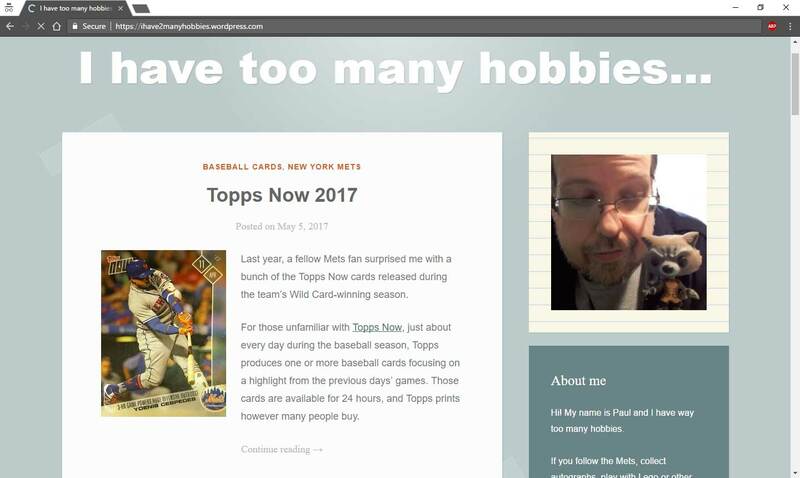 I've been trying to find all of Ken's cards and this is one of the few non-Topps produced cards out there.